Dieter Zetsche, Chairman of the Board of Management of Daimler AG and Head of Mercedes-Benz Cars, shared his view on the importance of artificial intelligence for the future of autonomous driving – and how AI changes the world. In a live session entitled “From AI to Green Tea. 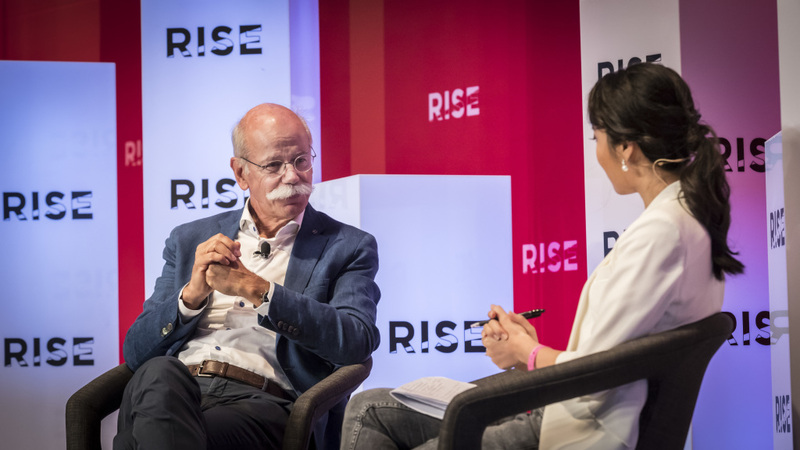 East-West lessons for the inventor of the car”, at the RISE conference, Asia’s most important tech-conference, on 10 July 2018 in Hong Kong, Zetsche discussed autonomous driving and AI as part of the mobility of the future in the presence of around 700 international journalists, influencer and conference participants. “Artificial intelligence is key future topic for Daimler in all areas of the company. Indeed the inventor of the Automobile already places its confidence in artificial intelligence, for example in the new A-Class: Its multimedia system Mercedes-Benz User Experience (MBUX) has a unique learning capability and intuitive operation,” said Zetsche. During a tour at the RISE conference, Dieter Zetsche also had a meeting with the Silicon Valley icon Guy Kawasaki, who is also a Mercedes-Benz Brand Ambassador. “Here at RISE, I meet the most important players in the Asian tech scene and inspiring people from all over the world. There is hardly a more suitable platform for the dialogue between East and West on the most central digital topics of the future”, said the Mercedes-Benz brand ambassador in Hong Kong. Mercedes-Benz Vito: May I Have This Dance?